Are you a translator willing to quit your office job or a bilingual person looking for additional source of income? Then you may have already thought of diving into freelance translation and starting your freelance business. Am I ready to go freelance? 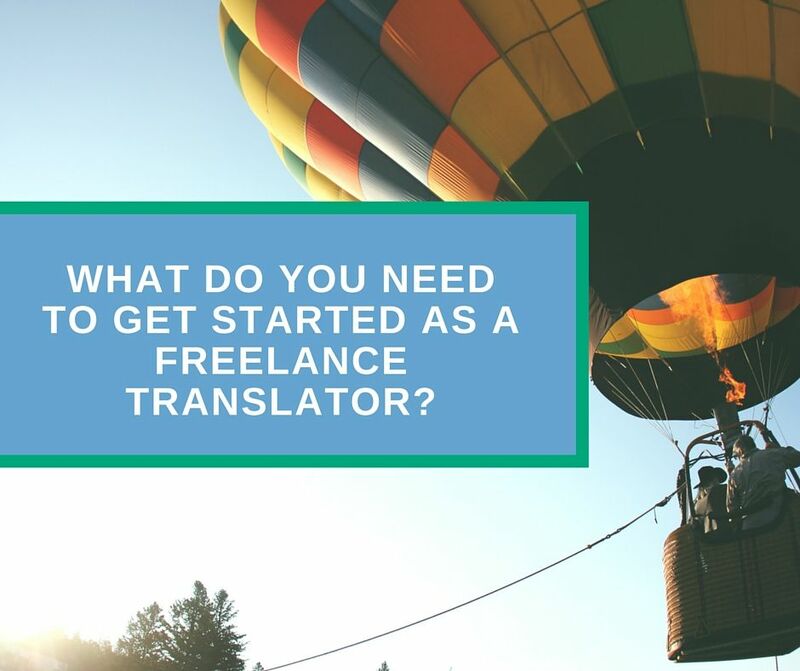 What do I need to get started as a freelance translator? Are you ready for freelance? What comes to your mind first when someone mentions freelancing? If it is a guy with MacBook Pro lying on a beach chair, sipping cocktails under a palm tree, you should take off your rose-colored glasses. Real freelancers are workaholics, believe me! Real freelancers are passionate about the work they do and put a lot of effort into their business. You are ready to go freelance! Some people think that to become a translator one shall get a higher education, the others believe that all you need is to know two languages. Having a translation degree under your belt, same as being a bilingual person without a degree in translation, does not mean that you are a translator. I know translators who graduated from university and cannot adequately translate general texts, and I know people who achieved great success in the translation industry without attending university courses. Expertise comes with experience. The more you learn and the more you translate, the better results you may achieve. Like any good artisan, every freelance translator needs proper tools to handle translations and reliable resources to get reference information. CAT tools (computer assisted translation tools) are the “magic wands” of a modern translator. There are many wonderful CAT tools: free and paid, could-based and desktop! Most of them offer a similar set of methods and options. You can learn more about CATs here. Dictionaries are the most important tools for translators. Finding an accurate translation of complex terms may be a headache, especially when translating industry specific texts. You may also ask translation community to help you with translation of rare and uncommon terms using Proz Kudoz platform. Although these websites look like never-changing since 2005, there are strong translation communities ready to help you. Of course, CAT tools and resources for translators are a matter of a separate article. I will focus on both topics later. Resume is one of the first documents that comes to mind when starting a freelance career. This tool will help to introduce yourself to a potential clientage (either translation agency of direct clients). In the next article, I will show you how to write an awesome, professionally looking resume using modern design templates. In addition to the professional resume, you should prepare at least one reference letter from your former colleague or line manager. It will serve as a social proof of your previous work. If you cannot get any reference letter for any reason, focus your attention on composing a cover letter template, which you can use during further communication with your clients. A simple way to showcase your previous works is to create a translator’s portfolio. Select 5-10 examples of your best translation works, create bilingual PDF files and prepare some colorful illustrations. There are many places on the web to place your portfolio online. Some of them are dedicated to specific areas of expertise, like Dribble or Behance for designers or deviantART for artists. However, there are lots of wonderful resources targeted at a wider audience. What they actually offer, is to create your own portfolio website. In the next articles, I will explain why you should create your personal website. Social networks are a powerful instrument of self-promotion and marketing. Properly adjusted SMM campaign will help you to spread the word about your services, find new contacts, reach out to your potential clients and, finally, create a community around your business. If you don’t have any social profile yet, register on major networks right now! Let’s make friends on Facebook, Twitter, G+ and LinkedIn. The last but not least point of concern when shifting to freelance is to prepare a financial cushion. You shall always remember that freelancing is a type of business where you are a “Jack of all trades,” and your income solely depends on your efforts. Therefore, I would recommend setting some money apart for a month or two, so that you don’t afraid to run out of cash, as getting the first project may take some time. Of course, this is not a complete list of things that you need to start your freelance translation business. But at least, now you have a good basis to start with! In the following articles, I will consider each item of this blog post in detail and provide more useful information on freelancing. If you have any questions or comments, use Disqus tab below. I will be more than glad to answer all your question and learn what you think about this blog post.